Brand-new recording released on superior-sounding HQCD! 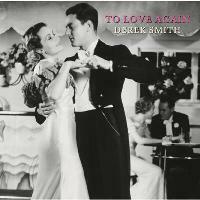 A jazz pianist noted for his versatility and elegance, Derek Smith, originally from London, has been playing professionally in the US since 1957. He remains relatively unknown in the US but is strongly admired by fellow musicians and ardent fans. Following his successful debut CD Beautiful Love, a trio album, Smith went into the studio by himself this time to record a solo album at the suggestion of Venus producer Tetsuo Hara. In a program of well-known standards and classical melodies, Smith impresses the listener with his beautiful touch and harmonic elegance, romantic and even dreamy interpretations and an undeniable sense of jazz and swing. A lovely solo album by one of the true masters of jazz piano! The sound quality of this HQCD is also superb! Produced by Tetsuo Hara & Todd Barkan. Recorded by Katherine Miller at The Avatar Studio in New York on June 24 & 26, 2008. Mixed and mastered by Venus Hyper Magnum Sound Direct Mix. HQCD (High Quality CD) is a new CD formulation developed by EMI Music Japan. The higher quality polycarbonate material developed for LCD panels and specially formulated amalgam -- instead of regular alumunum -- in its reflective layer improve the sound quality by reducing reading errors in playback. It is compatible with all regular CD players.